This year’s AcaDeca team has recently finished with their season that included Russian subjects, after months of practice in preparation for the events. 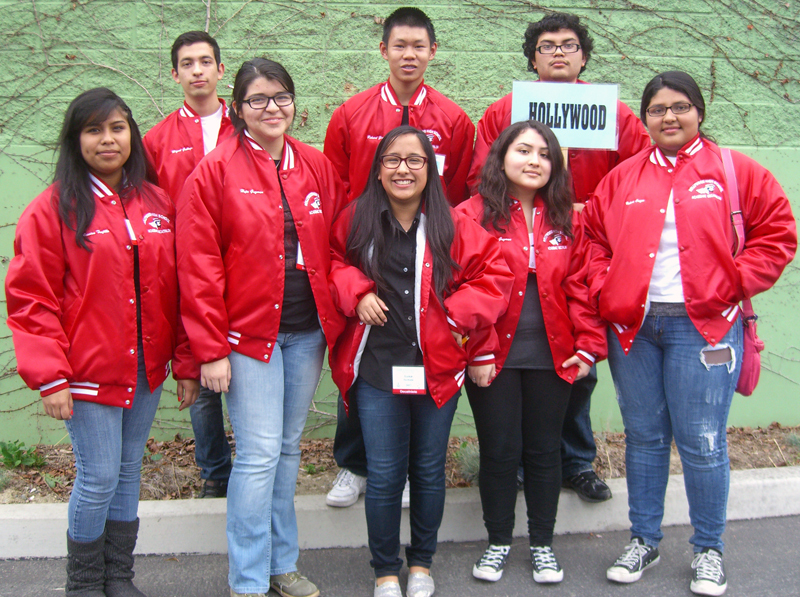 Hollywood High’s team consisted of three teams, each with their own difficulty: honors, scholastic and varsity. The honors team consisted of Valerie Orozco, Roland Zita, and Lorely Guzman. The scholastic team consisted of Miguel Gallegos, Hope Guzman, and Jessica Trujillo. The varsity team had Christopher Martinez and Luisa Iturbide. Academic Decathlon focuses on ten subjects: Science, Math, Social Science, Language and Literature, Art, Music, Economics, Speech, Interview and Essay. There are two events that decathletes had to prepare for. The first event, which took place on Jan. 26 2013, focused on three categories: speech, interview and essay. The speech section is divided into prepared and impromptu. Decathletes were to prepare a speech before the event and recite their speech to judges. The impromptu speech tests decathletes in their ability to create a speech on the spot. The interview portion asks simple questions such as “why did you join decathlon?” and grades students how well they respond to each question. The last portion tests students’ ability to write essays. The second event took place on Feb. 2 2013 focused on all other subjects offered. The first part of the event is a 6 hour test on each of the subjects. Then comes the super quiz which consists of only 12 questions. Decathletes must be familiar with each subject as they given only 7 seconds for each question on the super quiz. Before the season began, decathletes were given packets that covered all the materials. They were all expected to stay after school and practice. “It’s the most intense kind of testing” said Tuomala. Decathlon’s tests are said to be at a difficulty rivaled to those given in universities. Being in decathlon is also said to be beneficial as it improves students’ skills in real life implications such as testing and interviews. “It’s a lot of fun, a lot of work, but a lot of fun,” said SAS senior and decathlete Hope Guzman.The Academic Decathlon awards ceremony took place in the auditorium. Teams from many different schools attended Hollywood High to learn the results of the events. SAS senior Miguel Gallegos was awarded with a bronze medal in the interview portion.